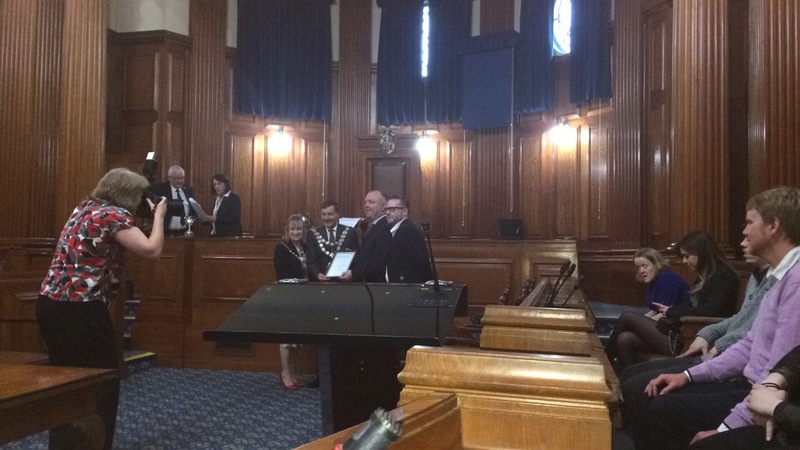 Last night at the ‘Mayor’s Volunteer of the Year Awards’ 2016-2017, Citizens Advice Bournemouth volunteers were highly commended for their service to the community; runners up to Michael House who operate hostels in Boscombe – a very worthy winner. 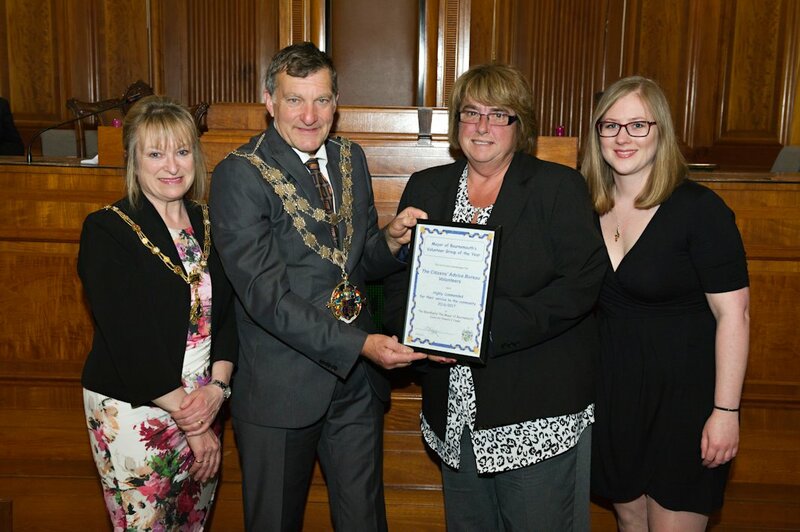 Attending on behalf of Citizens Advice Bournemouth were CEO Zoe Bradley and Caitlin Beck, a marketing volunteer. 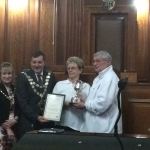 The award ceremony was held at Bournemouth’s Town Hall, where everybody got to meet the Mayor Edward J Coope and Mayoress Janet C Coope and celebrate each other’s achievements. 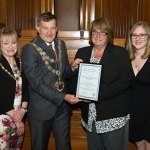 Other worthy organisations that saw their volunteer work commended included the AOK Rucksack Appeal , BCHA and AddAction. 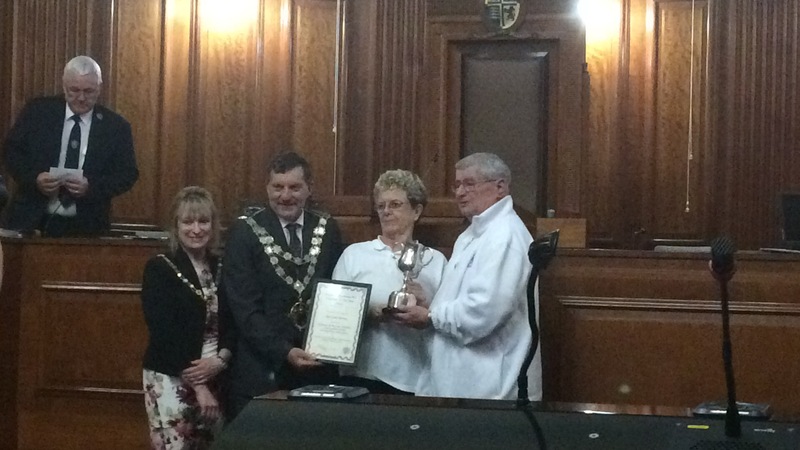 The Mayor’s Volunteer of the Year Award recognises the selfless work of Volunteers in Bournemouth. You can nominate a volunteer or an organisation by filling in a nomination form. The Award Winners in each category will receive the Cup and Winner’s Certificate. The Runners-Up will receive a Commendation Certificate. 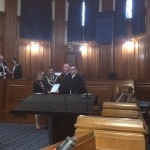 The Mayor of Bournemouth presents the awards. The voluntary sector is very diverse. Skilled volunteering is incredibly rewarding. You are able to put your previous experience and expertise to good use. You develop new relationships, learn new things and build on your existing skills. You also have the satisfaction of knowing your work makes a real difference to real people. In addition, if you are interested in volunteering with Citizens Advice Bournemouth Christchurch & Poole, check out our ‘Get Involved’ page for more information. To know more about the Citizens Advice Bournemouth Christchurch & Poole’s news, please follow the latest news section.